Three cities, six days, hundreds of dignitaries and thousands of security personnel are part of a hectic visit by Pope Francis. And the Secret Service is tasked with providing security for not only the pope and the dignitaries, but hundreds of thousands of spectators as well. WASHINGTON — When a baby emerged from the crowd in the arms of an adult guardian along Constitution Avenue on Wednesday morning during the papal parade, it drew oohs and ahhs from spectators. But for agents securing the pope, it was another moment of tension. 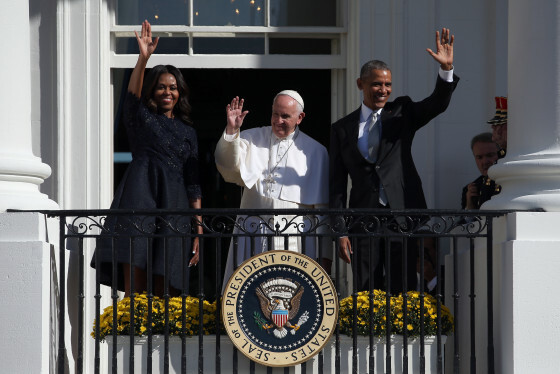 View photos from the first full day of the pope’s visit to D.C. on Wednesday, Sept. 23, 2015. 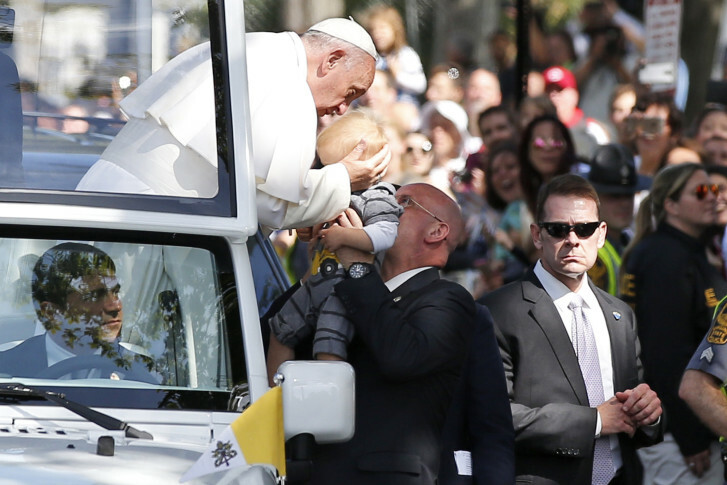 A security officer took the baby in his arms and carried the child to the pope for a holy kiss. The special moment was one of many for which the Secret Service has been rehearsing. Director of the Secret Service Joseph Clancy told WTOP the agency got a special crash course from the head of Vatican security in Rome on what to expect during the pope’s mobile forays. “He was gracious enough to allow us to follow the popemobile through the Vatican square, so we could get a good feel for how people react to the pope and how he reacts to the people in Vatican square,” Clancy says. It might look easy, but a security expert says it’s anything but. “It becomes a bandwidth issue to make sure you have enough advance agents to set at pre [and] post sites,” says Fred Burton, vice president of intelligence at Stratfor. Hundreds of security personnel are watching every move the pope makes, as well as the spectators around him. According to Burton, they are even watching every step the security people take. Burton says they are collecting, analyzing and combining every bit of intelligence they find to pick out threats. “All these different organizations have agents taking seats in a command post trying to coordinate advance logistics and threats,” Burton says. Clancy says intelligence about trends and known threats is important, but he suggests they also think about scenarios, such as people emerging from crowds wanting to engage the pope. “We don’t set up our intelligence plans based on necessarily what intelligence is out there. We set up our security plan based on what potential there is out there,” Clancy says. And factoring in scenarios requires legwork. “What nobody ever sees is the work that goes on 90 days ago before the pope arrives,” Burton says. In the process of securing all of the events from D.C., to Philadelphia to New York, Clancy was candid.